Mr. Las Vegas has a new home. 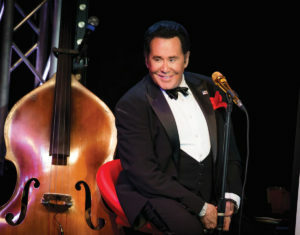 Wayne Newton is taking his intimate “Up Close and Personal” show to Cleopatra’s Barge at Caesars Palace. During Newton’s show, he performs his favorite songs and shares personal stories through film clips, anecdotes and an audience Q&A. “I am thrilled to be back performing at Caesars Palace,” said Newton, who has performed more than 30,000 live shows on the Las Vegas Strip.